I agree that the triangles end up distracting from the symbol, so sticking with circles is good. 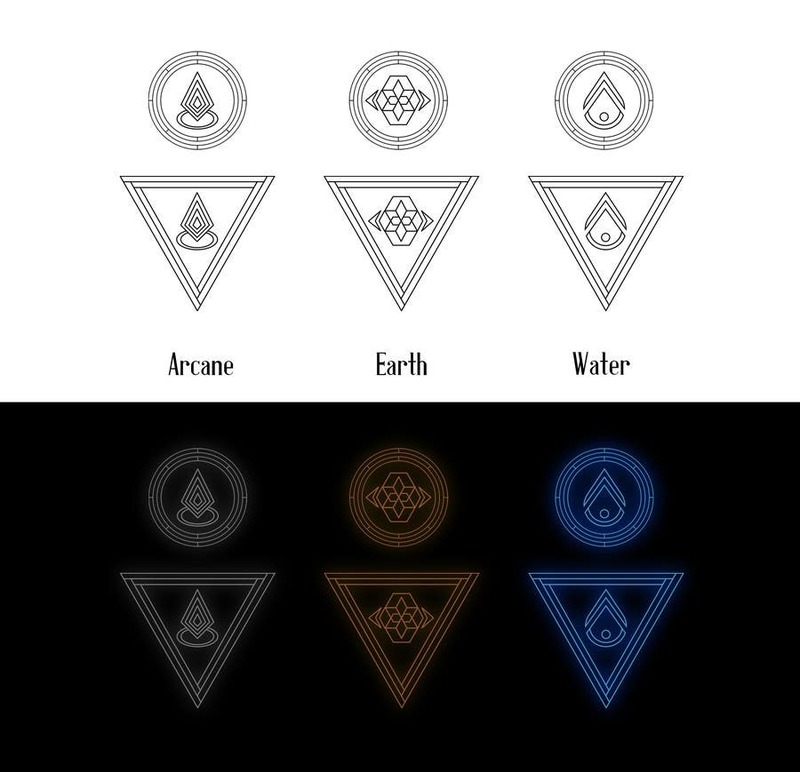 I like the arcane and the water, but the earth still isn't quite working for me. It just looks like a random shape and not really "earth". Could you try a few more to find something that works?